I have had my 2018 Since September and have about 1700 miles on her so far. Was wanting to start a place for any issues showing up on the 2018 models only. Please list your setup and if you got it resolved or not. Have only had one issue to date and was very minor. My intermittent wipers did not work at all since day one. Took to the dealer and they replace a switch and all is well again. Have not had any other issues, truck runs and shifts perfectly. Currently getting about 3 MPG better than my 2015 with the same setup. 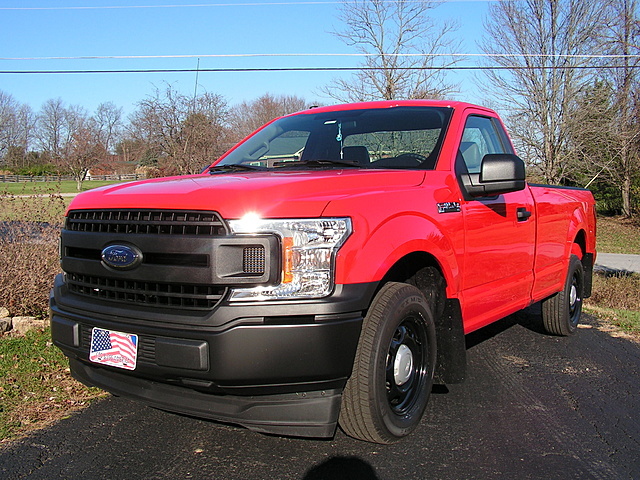 Post also if your truck is perfect! Last edited by CurryBob; 11-30-2017 at 06:39 PM. Sounds great so far! Im about to get my 2018 Limited very soon. Last edited by icecoldak; 11-30-2017 at 04:15 PM. Mine is 2018 Lariat 4x4 3.5 Eco Loaded - 2600 miles. Multiple scratches on the (cheapest ever) plastic interior pieces from factory. Scratch on center stack controls. Loose trim piece on rear door (literally fell off while driving). Air leak in cabin (passenger side) at highway speeds. I love the way it drives, and mechanically no issues, but the interior and fit/finish is just crap for a 60k+ sticker vehicle. 2018 Lariat 4x4 502a with the 2.7. I've had it for about 2 months and have around 2700 miles with no issues. Love the truck. I've taken several longer trips with it and have been averaging 23.6 mpg's with a high of 24.8 hand calculated. City driving seems to be around 20 mpg's. 2018 5.0 Lariat 4X4 SCab 1500 miles, no issues other that the jack making noise behind the seat. Is the plastic different than the 15-17? Absolutely zero issues with mine. I love it more each day. I got mine at the beginning of October and have about 1800 miles on it. Unlike Tabman10, I'm very happy with the fit and finish of my interior. No rattles or wind noise, and I'm very satisfied with the quality of materials. Mind you, my previous truck was a 2008 Ranger, so it's a pretty big step up for me. Last edited by Wolperdinger; 11-30-2017 at 04:57 PM. Rcsb XL 3.3 PFDI Bought 12 oct. 3300 miles no problems, no issues. Much more giddy up go in that engine than i expected.